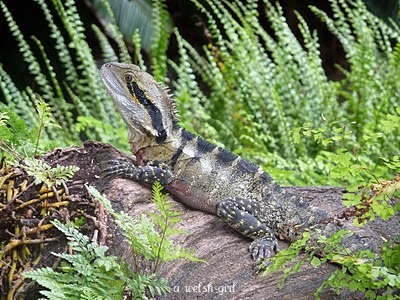 I have posted the occasional photo of some local water dragons on this blog, but as I am constantly fascinated by these creatures I think it's time for their own show! 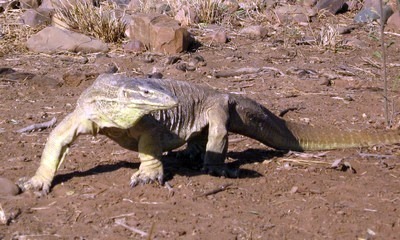 ﻿﻿﻿I've been in awe of these creatures ever since my first holiday visit to Australia back in 2004. I remember the first time I saw a lizard (I think it was a large Lace Monitor﻿, aka a goanna), I screamed that it was a croc!! I had just stepped off a little boat and was wading ashore with a 2 year old in my arms....it was frightening....and just a touch embarrassing! I'm now getting used to all types of lizards - dragons, blue tongues, geckos, skinks, even the odd lace monitor...how wonderfully exotic! 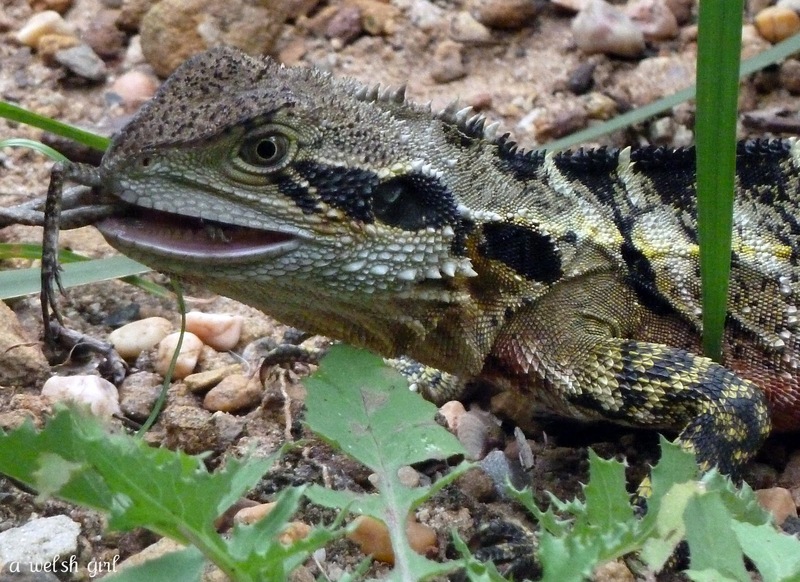 We have a little blue tongue lizard living in our front garden, and he graces us with a glimpse every now and then. "What's that clicking noise in our house in the evening?" 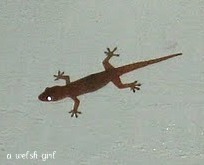 "That's just the geckos - leave them, they're ok, they keep the mozzies away". just a warning....I'll be posting about spiders soon. Any interesting creatures in your back yard? 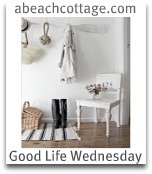 It's Good Life Wednesday over at A Beach Cottage, so I'm linking up. Sarah has some lovely images and ideas to share in her blog, it's definitely worth a visit. I have to say I'm not sure I'll look forward to the spider post!!! Lizards always freak me out. I remember I accidentally stepped on a blue tongue walking down our garden path. I wasn't watching where I was stepping...Luckily it just slithered away while I ran off in a panic. Eeew!